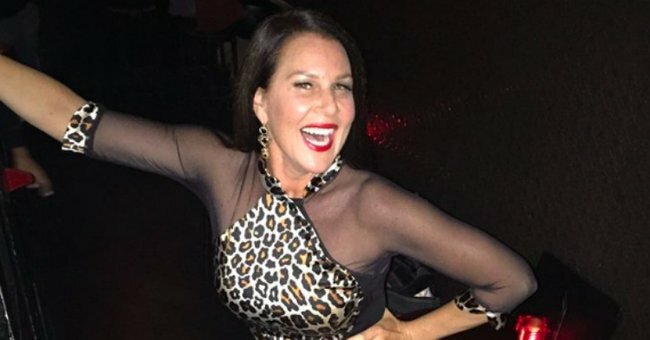 Julia Morris new show and her experience in hot pants. Julia Morris went to H&M to experience 'young people' fashion. The outing ended in wee. When Julia Morris went for a bit of playful shopping with a mate to H&M recently, she knew the experience would be a laugh. She probably didn’t quite anticipate how expensive a laugh could be. It all started when Morris said she needed “inspiration” for a new show about the transition from a “young part of life” to the “next stage” of life. “I took a girlfriend into one of those young people shops and we got dressed in really age-inappropriate clothing, to try and get some motivation for my new show,” she said. After all, she says, what’s funnier when you’re in your “advancing years” (her words) than dressing up in the most unsuitable age-inappropriate clothes imaginable? It turns out, the experience gave her exactly the kind of inspiration she needed. Like any good giggly teenager would, Morris said she was conscious of being stealth in case both women were sprung for being in the same change room. "We had to sneak in, because we had decided to go up to the boys change rooms because we thought it won&apos;t be as busy. So we went into the same change room, and then I started trying on my clothes and we laughed so hard. But because we are in slightly advancing years now, I said to her, &apos;Why didn&apos;t we go to the bathroom before we came?&apos;"
"Anyway, I tried on a pair of hot pant shorts like the young people wear, and I was laughing so much but trying to be silent. I didn&apos;t want the young people coming in saying, &apos;Why are you both in the same change room?&apos; I was laughing so hard a bit of wee came out," she said. And what&apos;s the only thing to do when you soil a pair of hot pants you tried on for a joke? "I had to buy them. I could not put those shorts back on the shelf," she said.